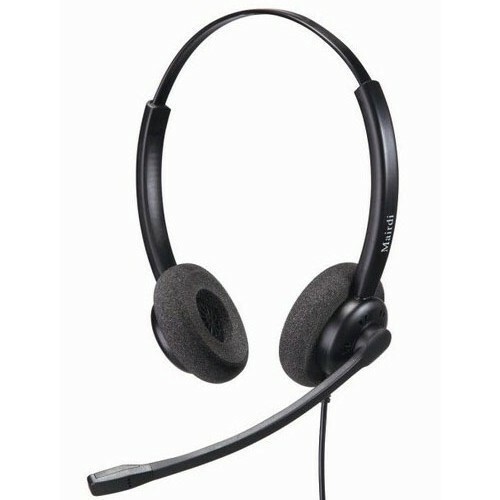 Our company holds vast experience in this domain and is involved in offering MRD 609 DS Binaural Ultra Noise cancellation headset. Ratchet style microphone boom for easy handling with good feel. Comfortable and reliable for all day wearing. “Desibel” isan eminent organisation, instrumental in the manufacturing and trading occupation since 2014. Our organisation was commenced as a partnership entity and since then concentrates to deliver only faultless products to clientele. Our organisation is engrossed in manufacturing and trading a supreme quality call centre / BPO application headets , IP Phone, Ear Cusion, Wired Headset and many more. Offered spectrum of products is manufactured with utmost care under the surveillance of skilled professionals. The products we offer are hugely rejoiced for their remarkable quality and flawless finish.